You have read plenty about my Dog Chloe and poor Lacy Flowers gets little recognition. 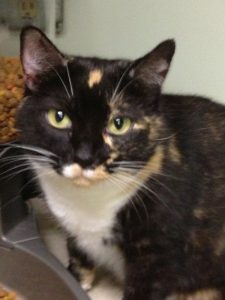 Well this is Lacy’s chance to shine, even as a barn cat! 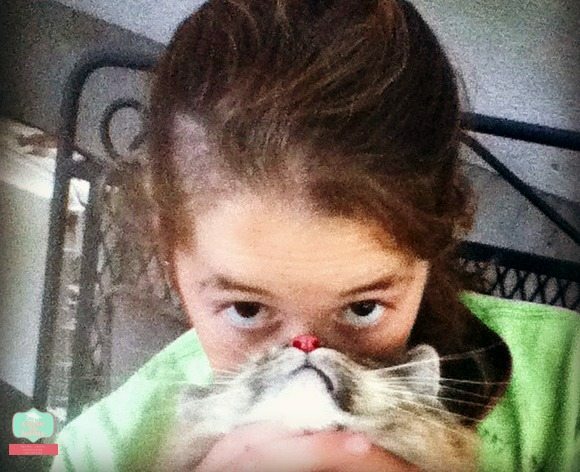 Have you ever heard of Cat Bearding? It is a new trend on Instagram and other photo sites. If you have a cat this is all fun but you also want to hear about the new Fresh Step Cat Litter Formula that will save your noses too. Because even though cats are easy to maintain the litter box does not take care of itself. Not sure where you keep your litter box, but even for us who keep it in the garage, it is important that when people walk in my garage the first thing they smell is not the cat’s litter box. 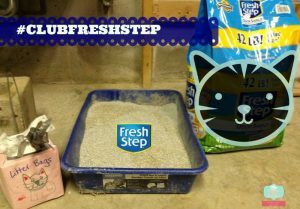 Fresh Step has recently made some base product improvements to help the odor-fighting capacity of their litter Naturally. The formula will maintain the carbon and borax of the original formula but by adding chlorophyll and essential oils to make the smell tolerable to us cat lovers. Using Plant extracts instead of chemicals is really important to me especially since I am the one cleaning the box. This new formula should also reduce any mold and bacteria from growing in there. I am concerned not because my kids are around the litter box that much or they even clean it for that matter, that is me. But really because my crazy dog has been known to clean out the cat’s litter box. I don’t think I need to go any further in explanation. I recently joined Sam’s Club to for this shop and they have a 42 lb bag for under $20. This is a great deal if you can actually carry the bag out of the store! Getting it off these shelves can be a challenge for the little old lady with a houseful of cats! SO now back to the Cat Bearding Discussion. I think I mentioned my Lacy is not an indoor cat, she was purchased as a barn cat, which she does a great job. Holding her for these photos was a challenge since I am the only one she really lets handle her very long. I am not good at taking Selfies. 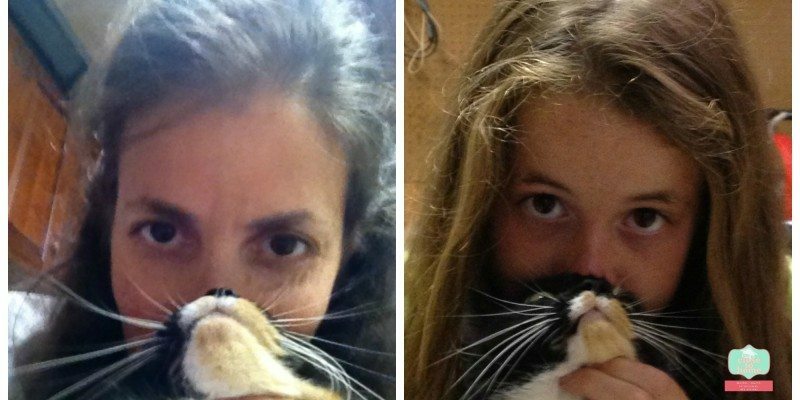 It is fun and you should grab your cat and see what type of picture of Cat Bearding you come up with, there are some really great ones out on the web. Of Course we had to have some fun with Chloe Too. 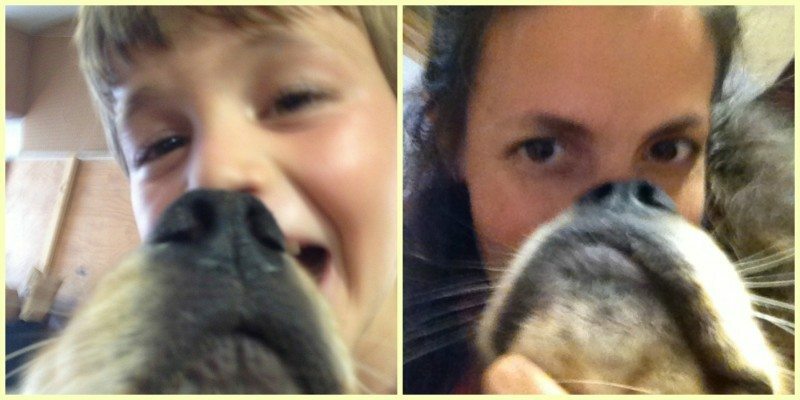 Had my daughter go to a neighbors house and try to cat beard with a cat that enjoys cuddleing more. Love for you to share an Instagram link to your cat bearding picture. 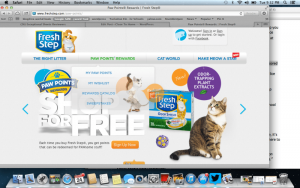 Where do you keep your litter box? We love to use fresh step.